OK pub but nothing special but probably the pick of the bunch. We had Red Rock brewery Devon Coast. This is a decent pub. I liked the interior especially the bar which is shaped like a ship. A lovely fire was roaring and the place was quiet. A good selection of ales too. 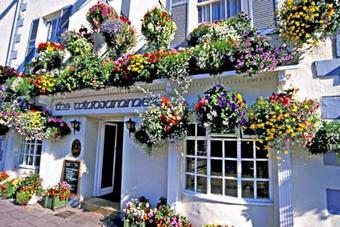 This is one of the better pubs in Dartmouth and i would pop in here again. Called in during half term. Saturday afternoon and we were the only customers. Beer was OK, radio was playing a nice mix of music but that's it. Shame about stevetheman's review.We were in during half term when it could have been disaster but the bar staff were great as was the beer,but the really great thing was that we could do that old fashioned thing....hold a conversation... and not end up with sore throats. Lovely pub.